Extended Time Space Walking Can Cause Astronauts’ What To Fall Off/Out? Which Famous Scientist's Family Has Won The Most Nobel Prizes? As far as life in space goes we’ve actually got things pretty much down pat. We’ve orbited the planet, put a man on the moon, and staffed a continuously operated space station for years on end. One thing we’re still working out the kinks on, however, is protecting astronauts hands on space walks. It turns out that designing the perfect space glove is a rather difficult task. Human hands are very articulated and it’s challenging to design a glove that offers a full range of movement while also maintaining optimum temperature, pressure, and humidity. 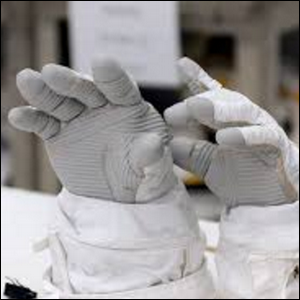 In fact, a significant number of astronauts report having some of their fingernails fall off as a result of space walking due to those very issues coupled with the simple trauma of “banging” their fingernails against the metal thimbles at the tips of each finger (designed to protect the finger tips from being crushed or pinched by parts of the spacecraft).